Investigators from the Vernon North Okanagan RCMP, along with the Salmon Arm and Sicamous RCMP are requesting the public’s assistance in locating 29-year-old Michael David Trosky, who is wanted on outstanding warrants in relation to a series of events that have occurred in the Okanagan and Shuswap areas over a two month period. On December 17, 2018, the Salmon Arm RCMP responded to a report of an armed robbery of a delivery driver. One suspect was arrested following this incident, however the second suspect, later identified as Michael Trosky, managed to evade police at that time. Charges of attempted armed robbery, dangerous driving, flight from police, assault with a weapon and failing to stop were approved by the BC Prosecution Service and a warrant has been issued for Trosky’s arrest. Warrants for Michael Trosky’s arrest are also outstanding in relation to several charges arising from previous incidents, including allegations of flight from police, theft, dangerous operation of a motor vehicle and prohibited driving. The RCMP is actively seeking information about his whereabouts. Const. 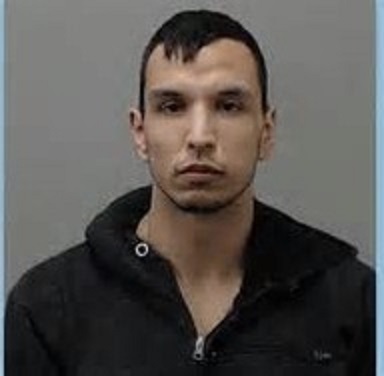 Kelly Brett of the Vernon North Okanagan RCMP warns, If you see Michael Trosky, or know where he may be, contact the RCMP or your police of jurisdiction. Under no circumstances should you confront or try to apprehend Trosky. If you have any information about Michael David Trosky, please contact the Vernon North Okanagan RCMP at 250-545-7171. Or remain anonymous by calling Crime Stoppers at 1-800-222-8477, or leaving a tip online at www.nokscrimestoppers.com. You do not have to reveal your identity to Crime Stoppers. If you provide information that leads to an arrest, you could be eligible for a cash reward up to $2,000.